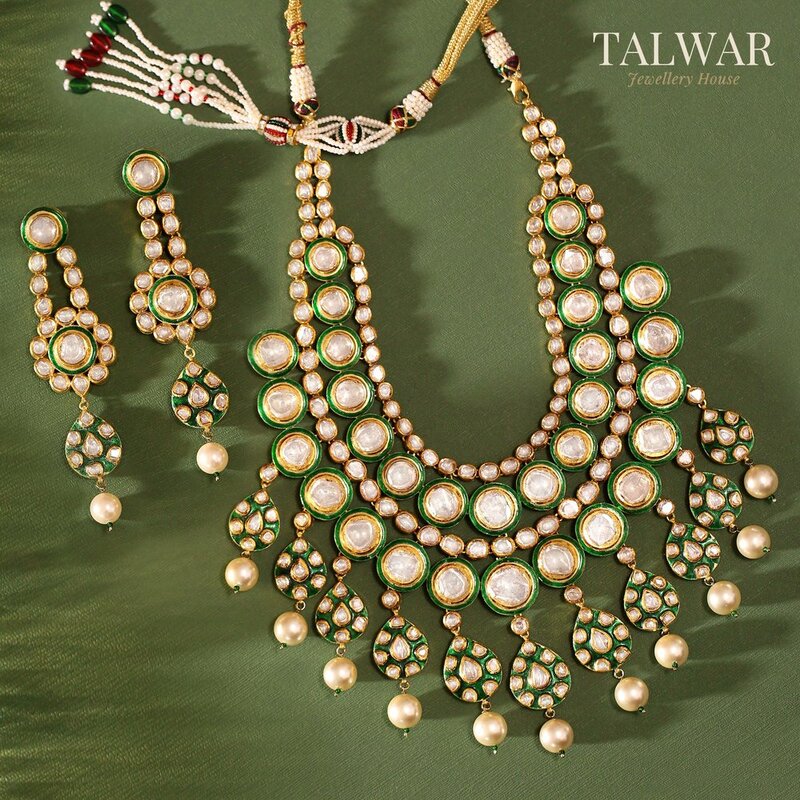 Our Polki Jewellery is handcrafted by the finest artisans in Rajasthan and is set with the highest quality of rubies, emeralds and pearls. 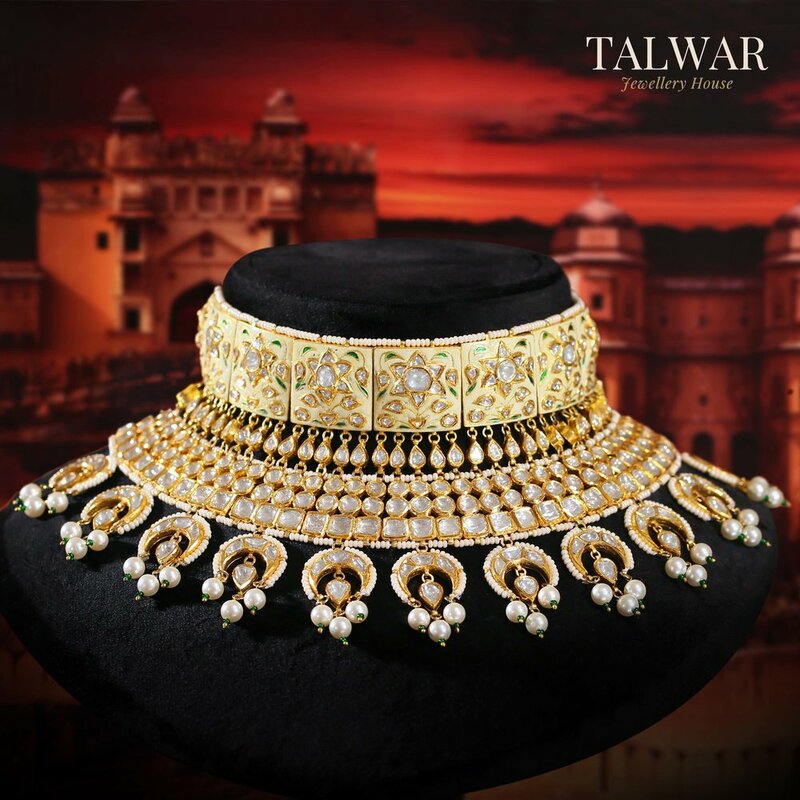 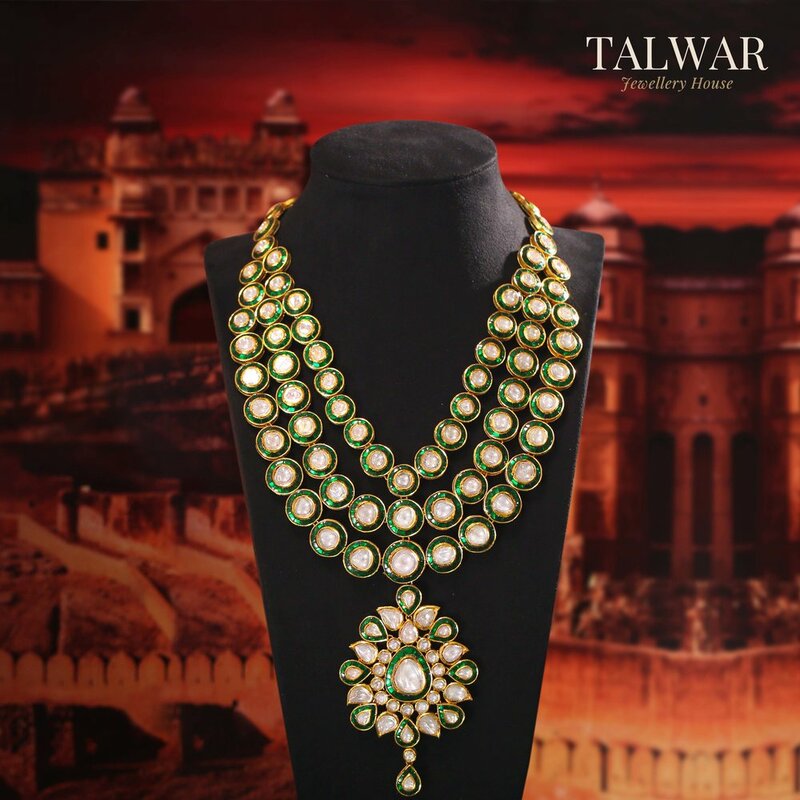 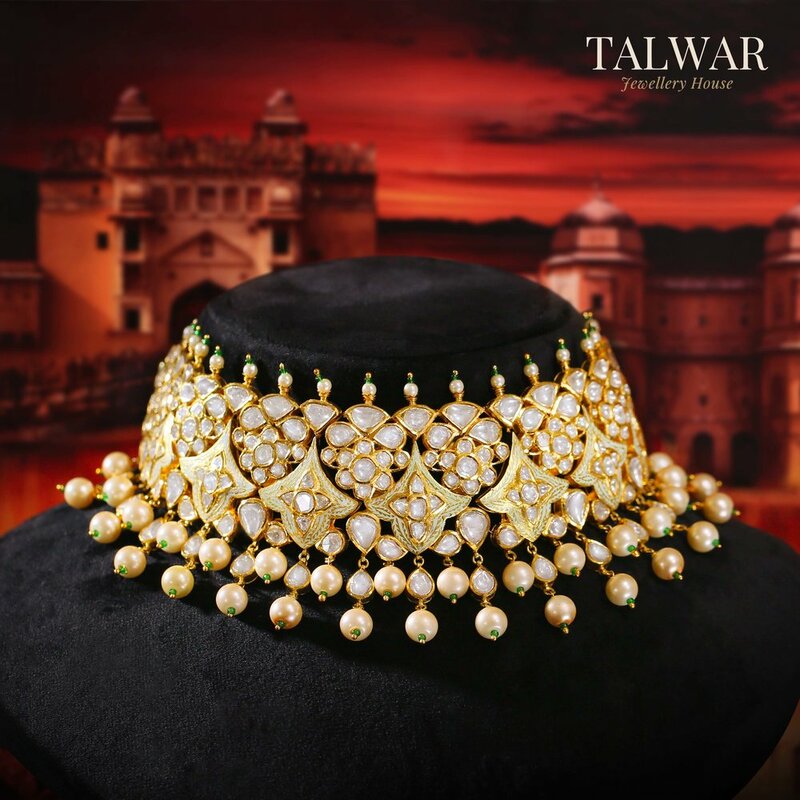 We take special care to make sure that every piece is adorned with elaborate meenakari work. 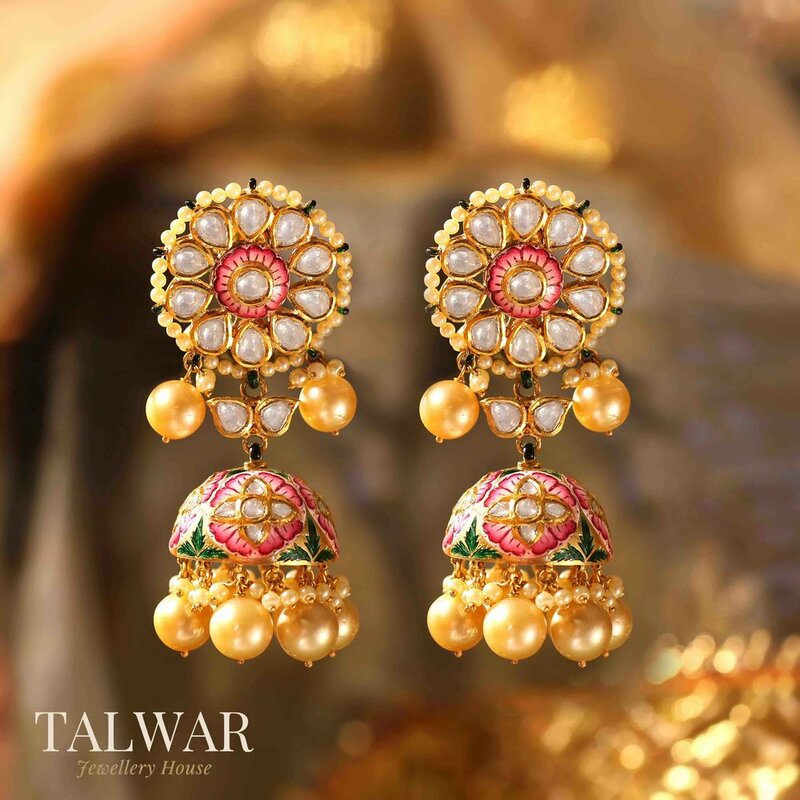 Polki Earrings by Talwar Jewellery House. 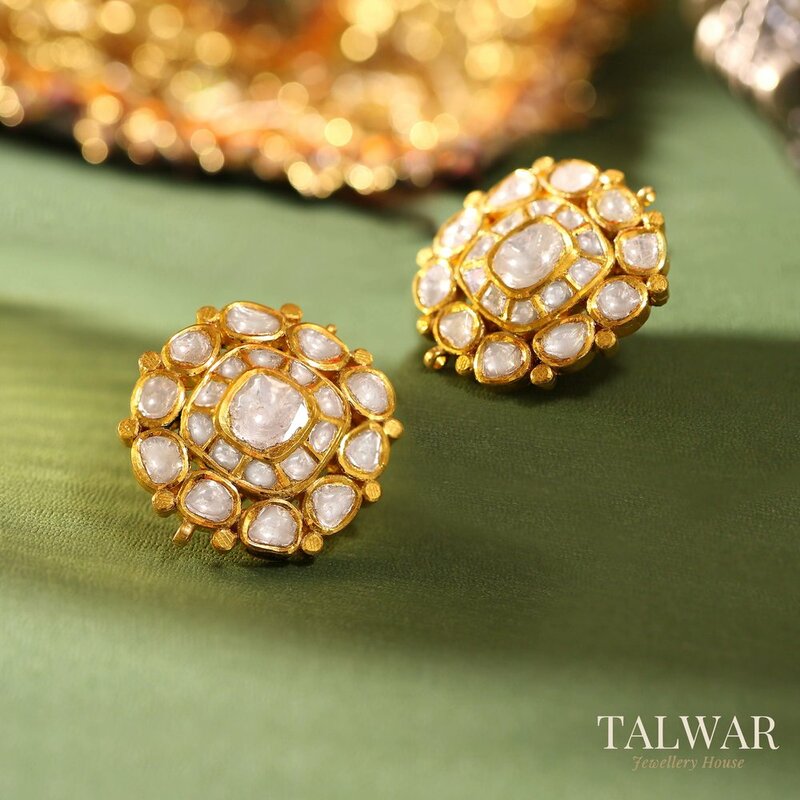 Polki and South Sea Pearl Studs.